As 2017 continues to change and evolve, health insurance in California has been impacted by universal healthcare. Learn more about the recent changes here. Healthcare continues to be a hot topic in America and recently no state has gained more notoriety in headlines than the state of California. The “Golden State” has emerged as a leader in the oft debated health insurance industry. One reason is that of the recent proposal for a universal healthcare system. Do you know the facts about health insurance in California? Read on for information that you need to know! The shift in matters related to the health insurance industry has brought about many questions for the residents living in California. To answer some of these, we’ve compiled a list of 7 need to know facts regarding universal healthcare, and how it may be affecting you. 1. What is “Universal Healthcare”? Single payer healthcare has been dubbed many things, including “universal healthcare” and “Medicare for All”. It relies on a government run system which combines resources to create health insurance that is inclusive of all citizens. This type of system would cover the medical expenses for every individual, regardless of their income or any other factors. However, the government would make relevant decisions determining what coverage for all includes. 2. How Does Single Payer Healthcare Differ From Traditional Healthcare in the United States? Single payer healthcare relies on one government program that is equally distributed among all. The current multi-payer system is made up of several health insurance companies, who offer a variety of plans, and is paid by individuals. Traditionally, health insurance in California, as well as other states, has been profit-based, whereas single-payer insurance isn’t. A universal system does not differentiate income level or cost. 3. Who Supports a Universal Healthcare System? A universal healthcare system has been supported by many leading Democrats. One of the most public and vocal advocates is Bernie Sanders, who ran for President last year. California born Senator Kamala Harris is among those who have endorsed a single payer system. For the first time in history, the majority of House Democrats have signaled support for “Medicare for All”. Recent statistics indicate that 55% of all Democrats support a universal system. Perhaps more shocking is the fact that a recent poll reveals that 44% of the nationwide population supports a single payer system to varying degrees. And, popular financial wizard Warren Buffett has publicly pledged support and urged for the adoption of universal healthcare in the United States. 4. Why is Health Insurance in California at the Center of the Nation’s Healthcare Buzz? California has been considered an opponent of much of the White House administration’s platform. Many of California’s leaders have disapproved of the President’s proposals. This has created a stir around the nation. One of the issues at hand is healthcare revisions. 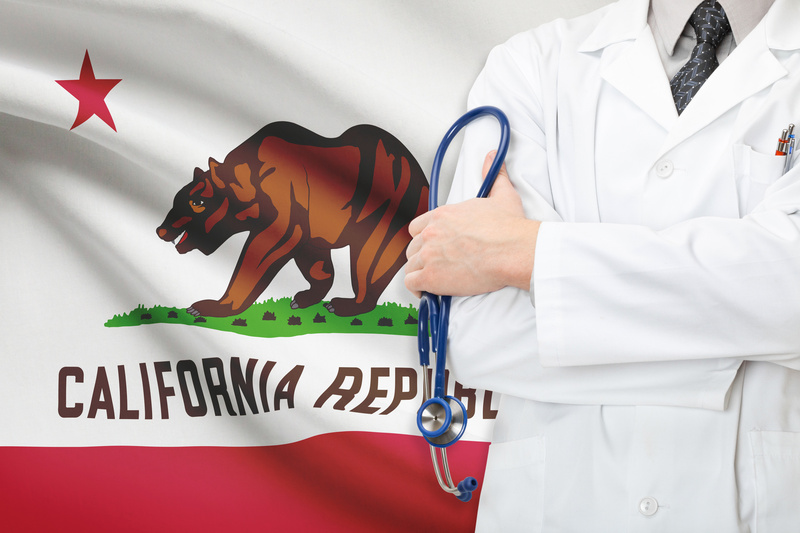 California has issued the introduction of a redesigned healthcare system. Last month the state Senate passed a bill that approved single payer health insurance. This caused a great deal of excitement all over the country. The bill still has to overcome hurdles before it is passed. It must be approved by the California State Assembly and Governor Jerry Brown. Just in last few weeks, the bill made headlines again. It is now on hold until legislators return from their summer leave. This has caused some skeptics to believe it may not be passed. Many remain hopeful, yet others have become more critical. Still, for California residents, the possibility of a new system is looming. The Senate Healthcare bill, known as HR 1628, has been a hot topic that has stirred national controversy. It has also encouraged states to consider their own healthcare reform. The Senate’s bill has not received the levels of support which legislators for the bill had hoped. Its effects held potential consequences for many people, including Medicare and Medicaid recipients. The bill was a disappointment to people on both sides of the political parties. 5. Is California’s Consideration of Universal Care a First? California has introduced similar bills in the past. And, other states have done so as well. Similar bills have failed in the past, although that does not mean this will. Many are hopeful that this bill will take a different turn than the others. And, because of the timing and attention it has received, they might get their wish. 6. Would a Single Payer System Be Financially Responsible for California Citizens and Businesses? One of the most argued points relating to California’s proposed single payer system is the question of how feasible it would be. Many wonder if California can afford a universal system. The healthcare budget brings the issue a lot of attention. Even though similar bills have been introduced, many people are more focused on the costs of healthcare than ever before. Researchers from the University of Massachusetts have studied the possible effects of the bill known as SB 562. They found that it would result in significant savings on healthcare costs for most California households. They also found that California based businesses would likely reap financial rewards. 7. How Can California Residents Find Out More About What’s Happening With Their Health Insurance? You may be wondering how you can find out more about your current state of affairs regarding your health insurance in California. There are lots of reasons that you might be concerned. The conversation revolving around healthcare is subject to change at any given minute. Staying up to date with up to the minute happenings presents a challenge. What’s more, you may be wondering how this affects your current health insurance. You may also wonder what these changes could mean for your family. What are your options? Which side of the coin makes the most sense for you? If you find yourself asking these questions, or if you have other questions or concerns, now is a good time to speak with a professional. They can help you to understand the totality of your circumstances, and what your future holds. Click here to find out where you stand, get the latest updated information and have your health insurance questions answered now!